Those who think the Great Smoky Mountains are in Tennessee are not even half right. 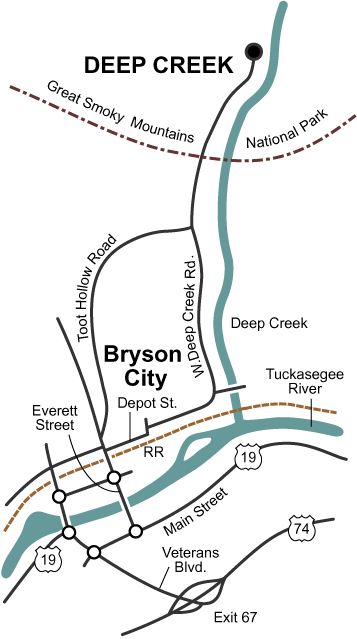 North Carolina encompasses more than half of the Great Smoky Mountains National Park, and most of that is in Swain County. In fact, one of the most beautiful areas in the National Park is just a few minutes outside Bryson City. 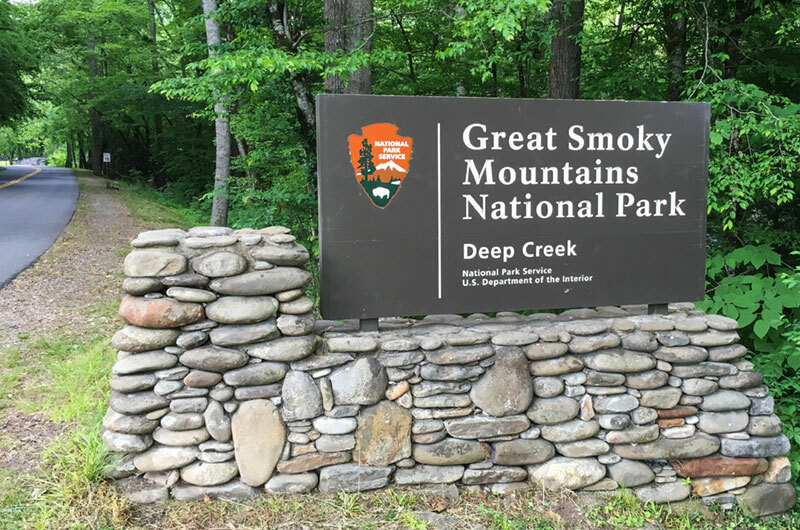 Deep Creek – known for waterfalls, trails, swimming and tubing, and fly fishing – has more fun things to do than any other area of the Great Smoky Mountains National Park. So come for a visit and explore the many wonders of Deep Creek! 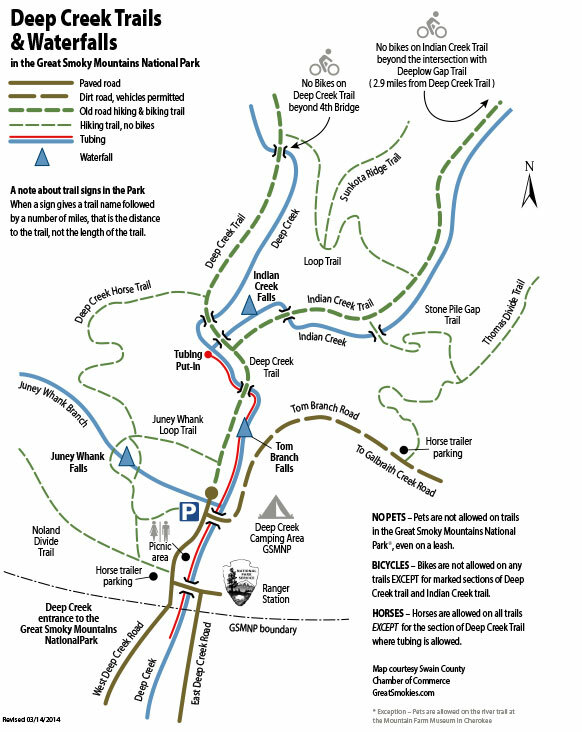 Deep Creek trail was one of the first trails constructed by the Civilian Conservation Corps in the newly legislated National Park in the early 1930s. The current Deep Creek Campground was also the site of the Deep Creek CCC Camp from 1933 to 1936. Pets are NOT allowed on hiking trails in the Great Smoky Mountains National Park. They are allowed in Deep Creek campground, picnic areas, and along roads, but must be kept on a leash (no more than 6 feet long) at all times. In the National Park, pets are only allowed on one short walking path — the Oconaluftee River Trail, which begins at the Park Visitor Center in Cherokee. Pets are not allowed on any other park trails, including backcountry areas. Please clean up after your pets, and do not leave them unattended in vehicles or RVs. There are several places that welcome dogs in the Bryson City area, including Island Park in downtown Bryson City.